The OnePlus 5 is being majorly hyped, and people — including myself — are itching to get their hands on it. Although it's official June 22 launch date is quickly approaching, the wait seems to be too much for some. That's why popular online retailer Jingdong is allowing Chinese residents to pre-register for their upcoming OnePlus 5 flash sale. According to the website, the number of people already pre-registered for the phone is swiftly climbing its way up to 200,000. Registrants, however, are not guaranteed phones. Nope. Rather, they're signing up to participate in a flash sale. Should these registrants get lucky, they'll be able to order a phone once the sale goes live. Unfortunately, though, their odds aren't looking too good. Since the registration period opened earlier today, 160,023 people have signed up. Considering that people still have another week to register, it's safe to say that the OnePlus 5 is going to be a big seller. OnePlus revealed the first major piece of information about the phone when its CEO Pete Lau posted some photos taken with the phone. The first photo was a low-light shot of an intricate building. The second — a black-and-white portrait — was taken by some as a hint that the smartphone will feature a monochrome secondary camera. However, OnePlus gave us the greatest look into the phone so far when the company posted on Google+ and Twitter an image of the phone. These postings confirmed that the phone will have a horizontal dual camera. The design of the phone is also being heavily compared to that of the iPhone 7 Plus. Both phones feature similar cameras, antenna lines, and share that distinct matte black hue. The smartphone — which the company will officially unveil on June 20 at an online event — is a hot topic in the tech world. Major sites, including us, like to investigate every rumor and leak related to the much-awaited for OnePlus 5. 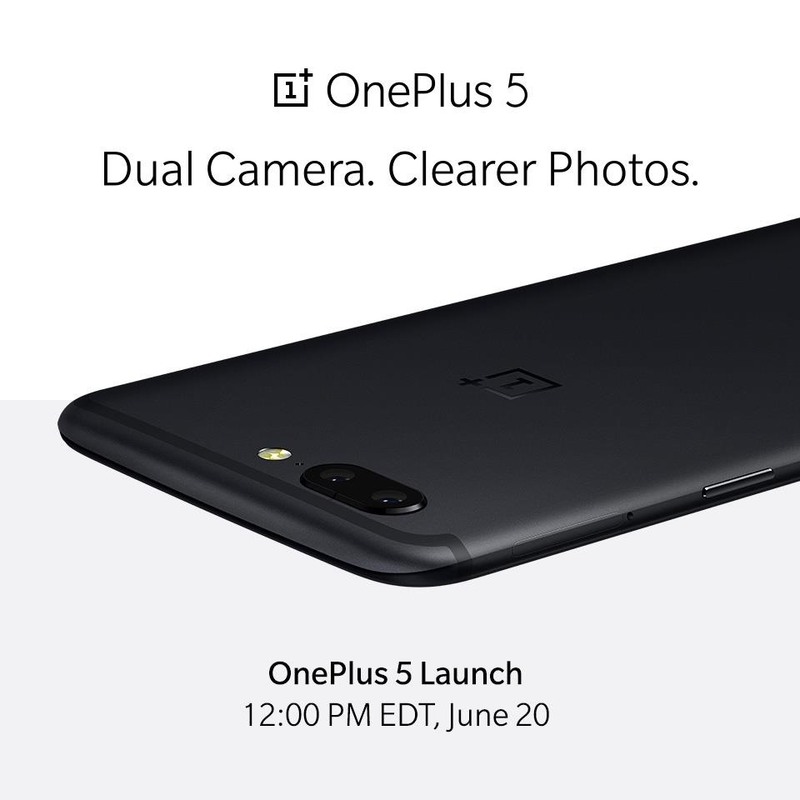 Pre-registration for the OnePlus 5 on Jingdong ends on June 21. If you successfully get to order the phone, you'll have the opportunity to pick it up in stores the next day. For us in the US, we'll just have to wait around until the OnePlus 5 is released stateside and hope there are enough in stock to satisfy our hunger.